I had the pleasure and privilege of talking about my startup experiences in Switzerland in the 90s and more recently at Artsy in New York at a lunch organized by Swissnex. The amount of companies solving real problems in that room was quite impressive, ranging from biotech to robotics. Not a single social network, mostly serious entrepreneurs, the real deal. I talked mostly about people, including a reference to T-Shaped skills. 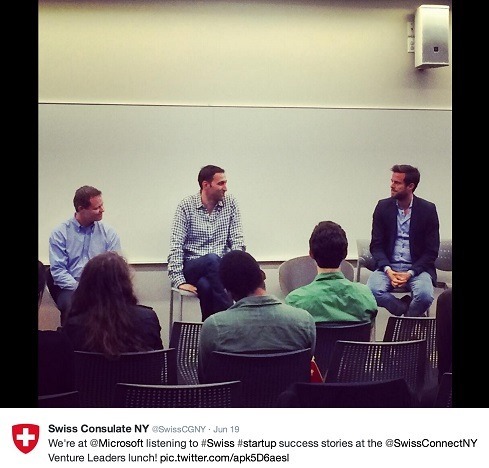 Swissnex: Swiss Startup Lunch was published on June 23, 2014 . See a typo?